Screening n DJ Set tonight!! Today in Montreal! 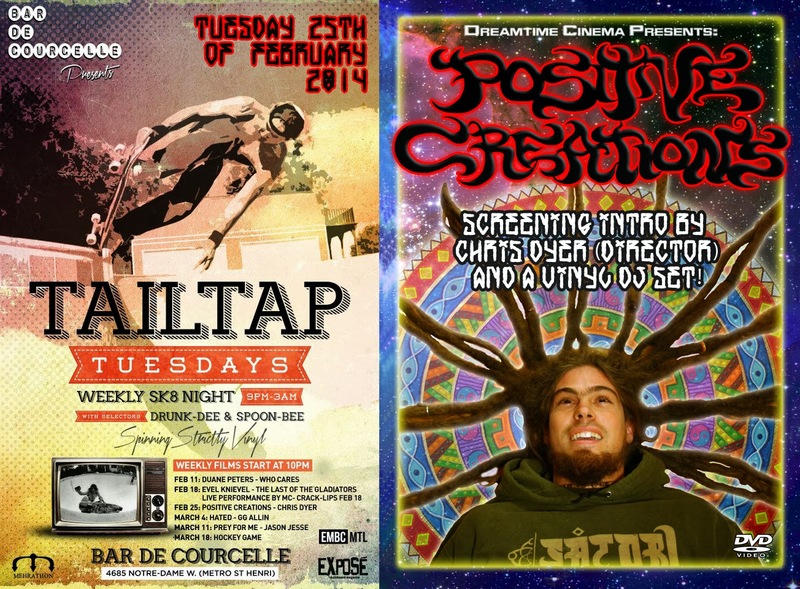 I will be screening my documentary Positive Creations at "Tailtap Tuesdays" at Bar De Courcelle (4685 Notre Dame W., Saint Henri), starting at 10pm. I never really did a premiere of this film in my hometown, when the film was released as a dvd back in spring 2011, because I found it too arrogant to gather my focumenity to focus on myself so much. But by now most people have seen it up on YouTube and Im happy to share this. After that, at 11:30 I will be doing a vinyl record DJ set, my first one ever!! Spoon Bee n Drunk Dee will also be selecting tunes, so dont miss out on the fun!! During my solo exhibition in Lima, I was featured on a popular TV show called "Metropolis" on Channel "TV Peru". I finally found it posted on youtube. Please skip to minute 4:20 to get to where my section starts. Though it's in spanish I think you'll enjoy the edit and some of my classic danx moves too!! It was a great week for viral content. I was stoked that the popular street art Blog BSA (Brooklyn Street Art) covered my trip to Peru. You can check it out HERE. 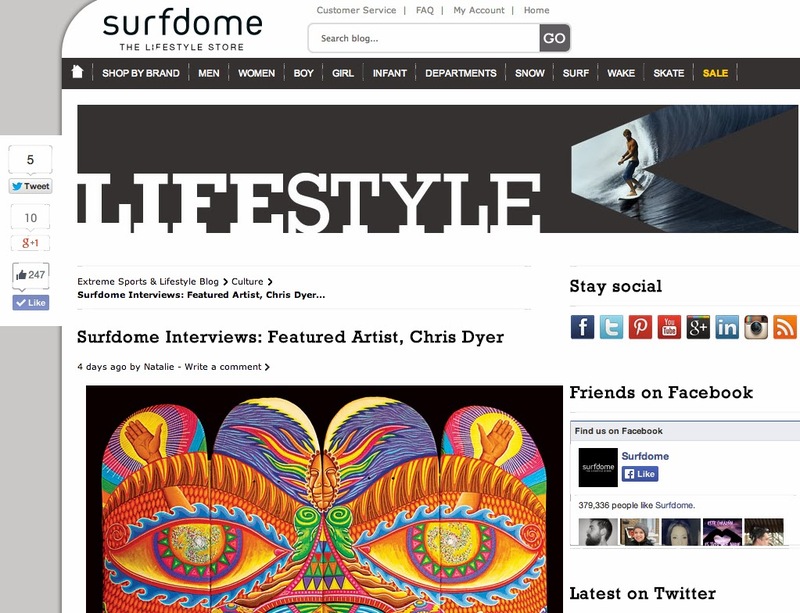 Then a big boards-sports webpage from England called Surfdome posted an interview they did with me. You can check it out HERE.